The crash test team at Thatcham has chosen an innovative two-way radio system for use in its crash and track research. The IP100 H handsets, which were installed by EARS, allow constant communication for test engineers and will aid the company in the testing of crash repair parts. The all-new communicators, which connect via existing WLAN access points, differ from previous two-way radio systems in that they provide secure digital communication over an IP infrastructure. 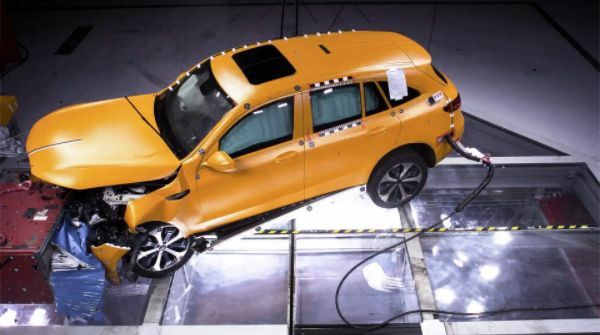 Alex Thompson, senior crash engineer at Thatcham, discussed the test process: “In the crash lab, we conduct Euro NCAP testing for probably the largest range of new cars coming to market every year. As a result, Euro NCAP provides consumer advice on how cars rank against each other in terms of safety in similar size categories. With safety a serious concern in testing, interference that is common in traditional radio systems is an issue which Thatcham has tried to combat by introducing the IP100 handsets. Thompson continued, “We needed two-way communication across the lab. Before a crash test we have crash technicians in our control room setting up the facility to run the test. We also have technicians attending and prepping the car at the start position, some 85m away. Communication between those two groups is fundamental.